Roll out the Barrel: At 4.5% and 30 IBU’s, Big Mamie Indestructible American Pale Ale is the 3rd installment in our new sessionable lineup. This easy-drinking APA is brewed just for the winter months. It pairs great with all of your favorite holiday foods, and because it’s not too heavy you won’t have to pass on a third helping of mom’s mashed potatoes. Big Mamie is available on draft and in 16oz tall boy cans through late fall and early winter. Quality Supreme: Big Mamie is brewed with U.S. Pale, Cara Belge, Vienna and Special B malts, and is carefully balanced with U.S. Chinook hops. To achieve an indestructible American finish, the beer is then dry hopped with U.S. Liberty for a crisp and bright taste. Taste & Enjoy: Copper in color with a sweet, floral hop aroma, the Big Mamie Indestructible American Pale Ale is an easy-drinking APA brewed specifically for the winter months. The History: Recognized in American history for firing both the first and last U.S. Navy sixteen inch shells during World War II, the USS Massachusetts, otherwise known as “Big Mamie,” served her country proudly for many years. However, despite her storied history, Big Mamie was on her way to the scrap yard to be stripped of her parts by 1964. 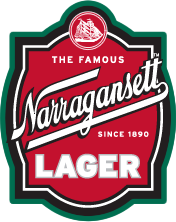 With her heroic past and New England pride in mind, Narragansett Beer spearheaded a fundraising movement with the local Massachusetts community to save the beloved ship from destruction. 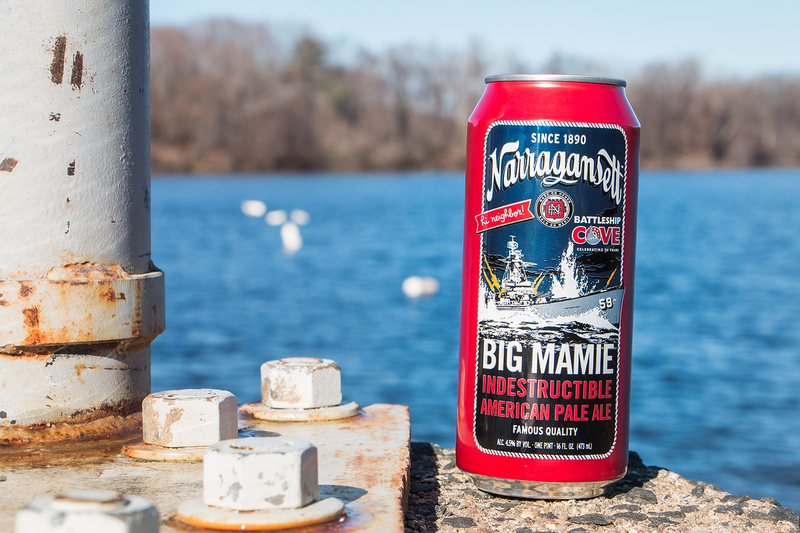 Thanks in part to ‘Gansett’s charitable efforts, in 1965 Big Mamie made a victorious return through Narragansett Bay to the Fall River, Massachusetts waterfront where a half million adoring fans lined the shores to welcome her home. The vessel is still docked there today as the crown jewel of America’s Fleet Museum at Battleship Cove.